As most of C’s old Y2 school friends seemed to visit the Florence Nightingale museum over half term, we thought we’d go up today to see what it was all about for ourselves. Even J was enthusiastic, on the promise of a gruesomely realistic black “toy” rat like the one a friend had brought back last week. 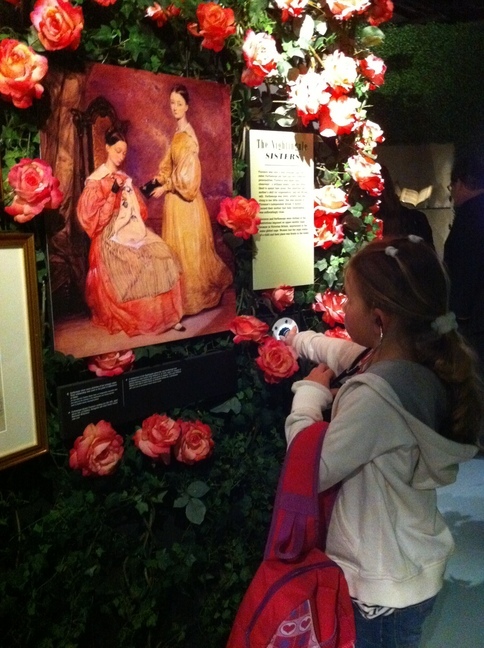 The museum is lovely, with plenty of thoughtful little touches – peepholes, a treasure hunt, stethascope audio guides – to engage young children. It seems to work best with where we are in our home ed journey if I allow C and J to experience places like this in their own way without too much up front discussion beyond some basic context-setting. I then enjoy noticing, over the following weeks and months, how they begin to refer back to what they experienced, prompting lively discussions on all kinds of subjects; it’s a delight to watch and listen as their mental maps are created, amended and connected. 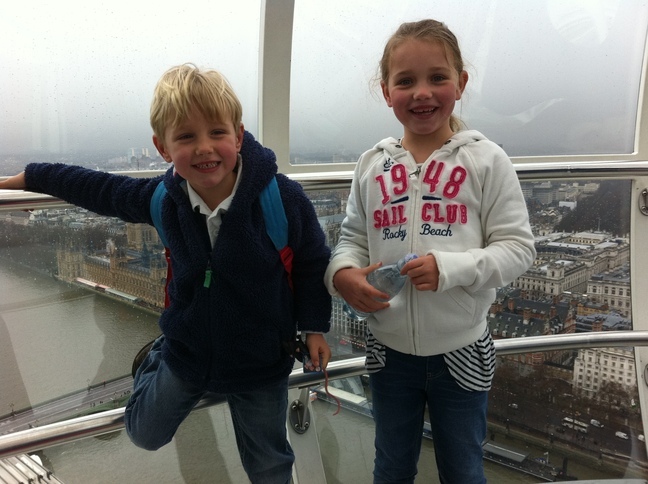 We escaped the cold and wet of the last day of February (winter is back) by picnicking on the London Eye, eating our sandwiches as we admired the views of the Houses of Parliament, Buckingham Palace and Westminster Abbey (you couldn’t see much further than that! We didn’t mind though as the trip was “free” with our Tesco-points Merlin Passes and there was no queue; we’ll go again soon when it’s sunny). 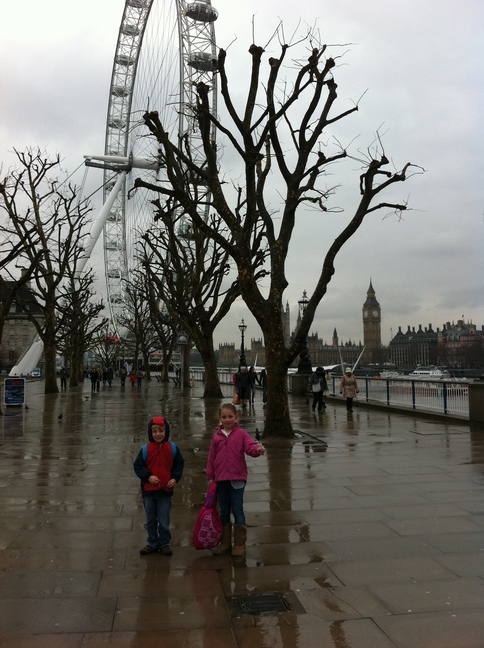 Our South Bank adventure was rounded off with tea and cakes at the Royal Festival Hall. 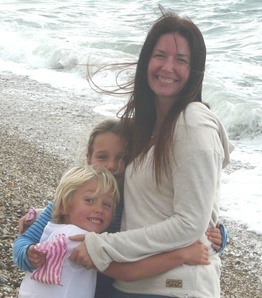 I’ve never been an arty-type, though I’d like to be – not enough to actually do much about it, but enough to experience a pleasant wave of wellbeing in places like the Festival Hall. 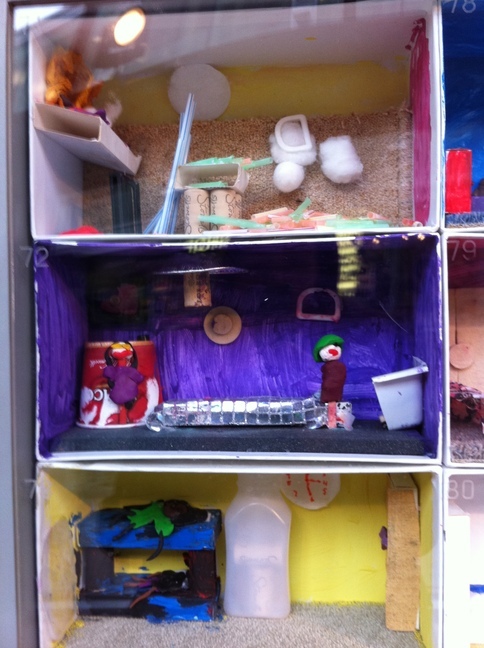 Today I was rewarded with a double feel-good hit: as we enjoyed the “Shoebox Living” exhibition that had attracted me (colourful junk-model shoebox rooms made by children), some sort of public professional ballet class was going across the lobby. I’ve no idea what it was all about (the children were hurrying me back to Waterloo Station by this point), but there was good-sized audience and I do like the thought of all this Art going on, and being appreciated – even if I, for the time being, am otherwise engaged!